I have a (unfortunately for me, rather small) number of bitcoins and I wanted to share with you a way to put them in cold storage. Bitcoin storage seems simple, but can prove a little tricky in practice if you want to be extra safe, which is probably what you want otherwise you would not be reading this post. In this post I present an alternative recipe for really really cold, freezing storage. Before I begin let me say that there are many ways to store bitcoin wallets and a few posts out there that explain how to achieve cold storage. For example, you can use the cold storage udemy lecture by Charles Hoskinson, or the explanation in the bitcoin wiki. Below I comment on some of them. Online services that provide bitcoin wallets may be (and the good ones are, for sure) very very secure. However, it is still a third party that you may or may not want to trust. By doing bitcoin storage at home you eliminate the need to trust a third party. You can create a cold storage by printing a paper wallet that has the private key for all to see if they get a hold of the paper. I don’t like this idea because it feels to me like leaving cash in the bedside drawer, seems unsafe. Also it can be lost (definitely within the scope of a few years) and you need to trust any third party that will keep them for you. 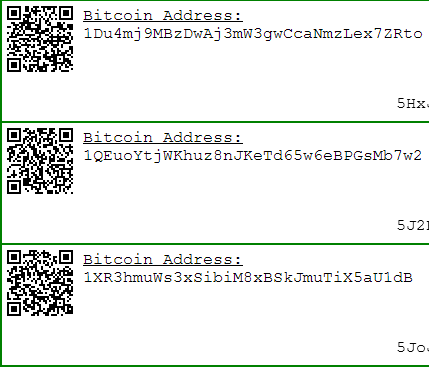 There is the option to seed a wallet with a memorable pass phrase. This is super cool in the sense that all you need to do is memorize a secure pass phrase, like “chitty chitty bang bang 12345″ Easy peasy, right? One problem, if it’s easy to remember it’s easy to hack and if it’s secure it is hard to remember. I see a much bigger problem in forgetting my damn password and losing all the bitcoins stored in that brain wallet than in anyone actually attempting to steal my coins. As mentioned above, you can create an offline wallet using any number of wallet software (bitcoin QT or Armory). This may be easier in some sense but you do run the risk of the wallet software becoming outdated by the time you need to re-heat your coins back to life. Instead of using a wallet software we are going to directly keep the private keys for public addresses that we will generate offline. Our main concern will be to ensure no malicious software can possibly copy those keys and transmit them to the outside world. We will achieve this by running a Linux operating system from an installation CD (a cheap and safe way to get a one time computer) and perform all the secret activities after the transient Linux machine was disconnected from the Internet never to be connected again before it’s final demise by ejecting the installation CD. To my understanding this is the safest way that ensure that as long as bitcoins are still bitcoins we can reclaim them from storage even in the far future. In essence what we are doing is very similar to a paper wallet that is then secretly transformed into digital form and encrypted. You are already in possession of some bitcoins. If not, please Google how to get some. I recommend localbitcoins for absolute beginners and then perhaps hooking up a bank account with a coinbase like service. You have a USB memory stick, you don’t need much room so small and cheap will do. 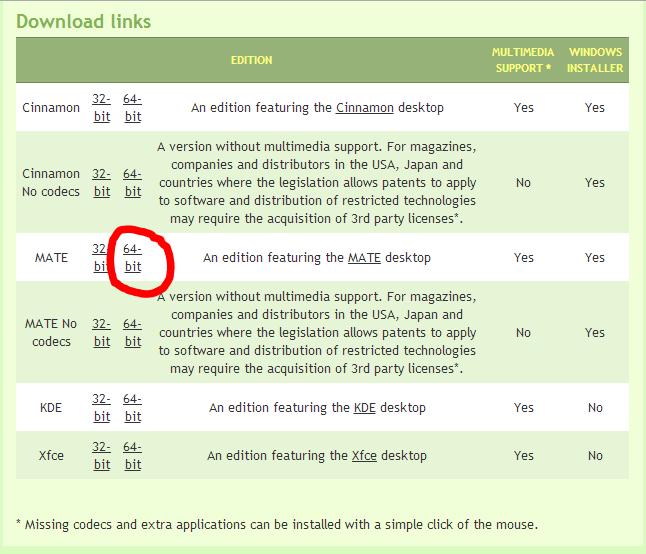 If you are not really sure, just download the topmost (in this case cinnamon, but this changes) 32-bit option. Fine, it takes a while for the file to download, but after a while you should see a file named something like linuxmint-15-mate-dvd-64bit.iso in your downloads directory. Burn the Linux distribution image (i.e. the .iso file) onto the DVD. Note that you need to make sure to burn the disc as a disc image, not as the ISO file itself. The way to do that on Windows is to right click the disk image and select the topmost option which says 'Burn Disc Image'. Very good. So now you have the linux operating system burnt to a DVD. That’s going to be one pillar of our coldness. Turn your computer off, insert the DVD and turn it on. Instead of your normal operating system you should see Linux running. It is running purely in memory and any action you do on it that does not involve your physical hard drive will be completely erased after you shut it off. Make sure you still have Internet connection. We are going to download an encryption tool and a wallet generator from the internet into our temporary Linux machine before we disconnect from the internet to create our private/public bitcoin addresses pairs in full secrecy. The first thing we are going to do is download a powerful encryption program that will help us encrypt the addresses we later create. This software is called AEScrypt. It is open source and considered as safe as anything out there. However, we are only going to trust that it encrypts well, we are not going to trust that it is not spying on us (because we are only going to actually make use of it after we have disconnected from the internet). Visit the download page of AES Crypt. for example, it may be "wget http://www.aescrypt.com/download/v3/linux/aescrypt-3.0.9.tgz"
For example, it may be "tar -zxf aescrypt-3.0.9.tgz"
AEScrypt should now be installed. Depending on how cold is cold enough for you, decide if disconnecting from the Internet using the Linux interface is enough, or if you prefer to actually unplug the Ethernet cable or your wireless card/usb. Navigate back to the open tab with bitaddress.org loaded. 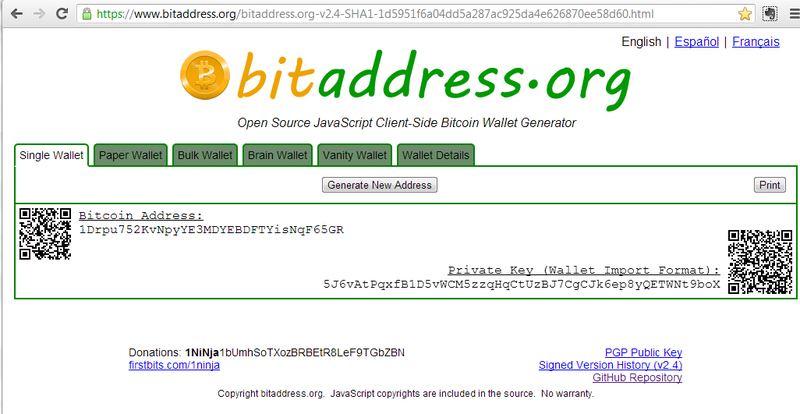 If you are interested in a single address you can stay on the homepage of bitaddress.org and just click the ‘Generate New Address’ button now that your are offline. Otherwise, navigate to the paper wallet and generate as many wallets as you like. I like to hide the art so that it is easier to cut and paste the address or the private key. Under it create two sub directories, say, Bitcoin/Public and Bitcoin/Private. a new file ‘Private.tar’ should have been added to the Bitcoin directory. You should see all the Private files that you created inside the Private directory listed. This step is crucial. Finding a good password is key (no pun intended). Here is one useful link but you should Google and experiment until you find something that is both secure (installing keypass is one way for you to measure that) and memorable (because in a few months you are not going to remember a password that is too complex). Good, so now you should see Private.tar and Private.tar.aes. If indeed you remembered the password then Private.tar should reappear. OK, good, it worked and you see Private.tar reappearing. So delete it again, this was just a reality check. Now delete also Private2.tar if it is still there, and you should only be left with Private.tar.aes and the Public directory under the Bitcoin directory. Copy it on a few more flash drives and put those in various physical locations. Burn it on a few CDs and put those in various physical locations. Put it on any cloud storage you use. Done. Next post about how to track while frozen and unfreeze your frozen Bitcoins. Wow, long (and good!) post. 1. Regarding Encrypted Wallet - even if the software becomes outdated, it will always be possible to resurrect the bitcoins with enough effort. Given the financial and other motivation, I trust that people will always write open source utilities that do just that - recover encrypted coins from old wallets - if the need ever arises. 2. The details are very good (I would consider adding your post as a wiki article). 3. I'm not sure there is actually a fundamental difference between your method and a brain wallet. Both methods require you to remember a secure password/passphrase. You can claim that your method can use less complicated passwords ... but I'm not sure this is correct. It does add a little bit of "technical security" - an attacker would have to not just guess your password, but also hack into your Dropbox - but otherwise, it's equivalent. B) You need to add another step to make sure your funds are safe even if you die or suffer memory loss. I suggest adding instructions to create a will using Shami's secret sharing. This is more secure than a brain wallet because a brain wallet's private key is nothing more than a hash (SHA256) of your password. There are precomputed rainbow tables for SHA256, if you use any password on the list your private key is "in the clear" for any hacker who wants it. As someone on bitcointalk recently found out (when he used "stfu!" 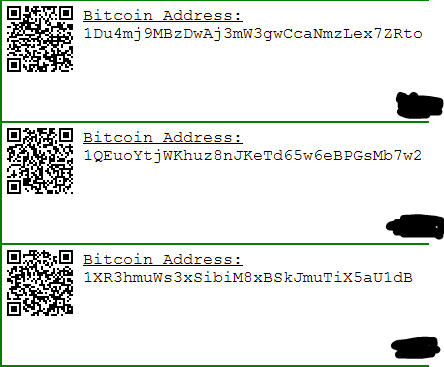 as a brain wallet password), a few smart hackers have already generated the addresses for these keys and they have bots watching the blockchain just waiting to sweep the funds. Now compare that to a AES encrypted file. Even if you use the same password. The hacker who guesses your password has nothing unless he also has a copy of the encrypted file, and the hacker who steals a copy of the file has nothing unless he also guesses your password. They actually have to work for it and unless you used a ridiculously simple password (something that could be brute-forced) the odds are in your favor that they're not going to be able to crack it. Some "reduced rounds" versions of AES have been broken, but as far as I know full AES with a 128 or 256-bit key is still unbroken. It's more than "a little bit of technical security", this is the same algorithm the U.S. government trusts for encrypting top secret documents, it's a much more secure way to store your bitcoins than trusting them to a simple SHA256 hash of a password that may or may not exist in some rainbow table somewhere. AES is secure only if the password is unknown and too complicated to guess. You're arguing against the strawman version of brain wallets. You can add a written-down salt to make sure attackers will have to attack you specifically and not use generic tables, and you can use a hashing algorithm which takes more time per attempt than SHA-256, such as scrypt or multiple iterations of SHA-256. I agree with ripper234. If you back up the wallet extensively it can be assumed the attacker has access to it. The only protection left is the password - if you remember it it's like a brain wallet, and if you write it down it's like a paper wallet. Meni. Thanks for your comment. I agree completely that if the attacker has your encrypted wallet then it is equivalent to a brain wallet. However, I disagree with your assumption that possessing a copy of your wallet should be assumed. Any overzealous high school kid in the world can attempt to crack the password to your brain wallet, say by mining online data about you and using rainbow tables and what not to guess the phrase you used to generate the private/public key pair. However, getting your hands on one of a few physical copies of your encrypted wallet is much harder in practice. You have to be, like, a real criminal and send people to break in etc, not something you can do online in a semi anonymous way. My conclusion is that an encrypted file stored physically adds (in practice) a very thick layer of security on top of what a brain wallet can offer. Extraordinary website you score. Do you already support Bitcoins? I would advocate to hire up at who-accepts-bitcoins.com. They gift make the interchange you necessity as their database is oft searched by bitcoin spenders. It's unrestricted though!